With our unparalleled expertise, facilities and services, we can help you address the uncertainties and potential risks presented by nanotechnology, nanomaterials and nano-enabled products, to ensure the success and sustainability of using nanotechnology in your business. Risk assessment is a pragmatic and systematic process to identify and manage potential health and safety hazards. The evaluation of risk should be made using the best available information, so that appropriate control strategies can be developed and implemented to eliminate or reduce the risk. With increasing concern and uncertainty regarding worker exposure to nanomaterials, an understanding of potential releases and their control is necessary to make informed risk assessments. We offer specialist laboratory services to support the identification and assessment of nanomaterials, including particle aerosolisation and characterisation, simulation of releases from common handling processes, dustiness testing, biodurability assessment, and morphology & elemental analysis by electron microscopy. Our knowledge and expertise of particle and fibre toxicology can provide the hazard information you need to safely develop and market materials and nanotechnology-enabled products, meeting regulatory requirements. Emerging technologies and cutting edge science provide opportunities but also carry risk. The full benefits of key technological advances can only be realised with full consideration of the potential risks to workers, consumers, and the environment. What do I need to do to determine if my material is classed as a “nanomaterial”? What are high aspect ratio nanoparticles (HARN)? How can I find out what products contain nanomaterials? How do I tell if there are nanoparticles in a consumer product? What is known about public opinion on nanotechnology? What are the implications if nanomaterials come into contact with the human body? What happens to nanomaterials in the environment? Have we got the right tests and tools to test the hazards of nanomaterials? What in vitro methods are used to assess nanomaterials? Are there any risks for workers using nanomaterials? How should nanomaterials be packaged for storage & transport? How can it be determined if nanoparticles are released from a process in the workplace? What are the challenges of detecting and assessing nanomaterials in the workplace? Are there any workplace safety levels (e.g. OELs) for nanomaterials? How can nanomaterials be controlled in the workplace? How can nanomaterials be safely disposed of? How are risks about nanomaterials communicated? How can I develop a material safety data sheet (MSDS) for nanomaterials? How are nanomaterials regulated in the workplace? What do I need to do to ensure regulatory compliance? What research is on-going in nanotechnology safety? H2020 project Gov4Nano will develop the first implementation of a future-proof operational Nano Risk Governance Model (NRGM) that addresses the needs of the trans­disciplinary field and innovative (and key enabling) character of nano­­tech­nology. 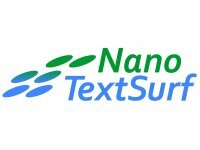 H2020 project NanoTextSurf aims to upgrade existing pilot lines for manufacturing and demonstrating nanotextured surfaces with mechanically enhanced properties based on nanoscale biomaterials. 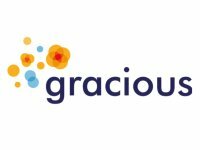 H2020 project GRACIOUS aims to develop a science-based framework that supports the risk assessment of nanomaterials by facilitating grouping, read-across and classification of nanomaterials. NanoinformaTIX aims to develop and implement a modelling platform for NanoInformatics by creating a comprehensive, sustainable, multi-scale modelling framework for exposure and (eco)-toxicity of Engineered Nanomaterials. SAFENANO leads activities providing a comprehensive approach to safety and regulatory issues in a project sponsored by Lloyd's Register Foundation to explore the potential of a carbon nanotube copper composite as a current carrying wire for potential use as a submarine electrical cable.